Good morning, our chic reader friends! Happy Valentine’s Day! We hope all of you know how much we love our readers! To prove it we’re sharing a heaping helping of great design today! When it comes to wonderful taste, we know you’ll agree that when it was dished out, Talbot Cooley got more than her fair share! Her interiors are rich and luxe without being over the top, clean and modern without being off-the-wall. We are swooning over these lamps… And the painting, of course! We can’t get enough yellow these days. In short, every room makes us want to take a second look! It can be tough to find the perfect accessory for an island. This shell filled with orchids is a beautiful statement. Wooden beam, stainless, lucite barstools, marble… All of our favorite materials in the same place! A little bit rustic and a little bit upscale, this kitchen is the perfect mix of elements. So chic! The simplicity of this dining room is so refined. It’s the kind of place where good food and good company can take center stage! Steel windows make such a chic statement. We think we love them most like this, when they let the outdoor light in! Cozy and crisp, this master bedroom is the ultimate in relaxation. The little sitting nook in the window is so sweet. What could possibly be better for kids than an adorable bunk room? This one is sophisticated enough to be suitable for adult sleepovers too! 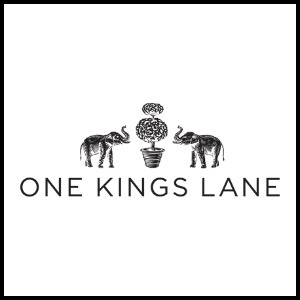 Check out more from this great designer! Thanks so much for stopping by and for making Design Chic a part of your day. We always love it when you visit! We are so excited to see the kind words about my new novel, Slightly South of Simple, starting to come in. Thanks to our sweet friend Elizabeth from Pinecones and Acorns for sharing the book love! If you haven’t visited her site, you’ll adore it–and don’t miss the raspberry almond crumb bars she posted yesterday. They’re perfect for treating your Valentine! Six Top Designers on Collecting and Displaying Treasured Finds and More! Happy Valentines day ladies! First, thank you for the mention! It was my absolute pleasure to read your fabulous new book and to post about it. I would be more than happy to give it positive reviews on Amazon as well. I know that everyone that picks it up will enjoy it as much as I did. Happy Valentine’s! What beautiful homes, each one is a delight. 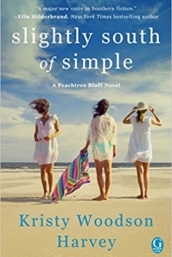 I can’t wait to read Slightly South of Simple, Kristy, I know it’s going to be a block buster!